“Normally, no one could have asked for a better coincidence to pump up spirits” said my broker friend Jigneshbhai as we sipped our coffee. 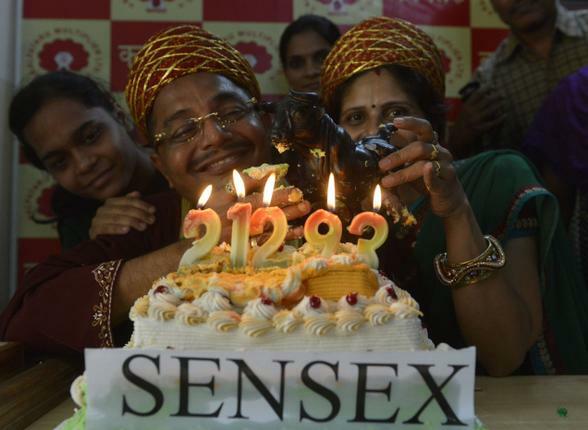 “But unlike the celebrations around Sachin’s 200 tests record, all that the Sensex got at a new record high in the form of celebration is this piece of cake” Jigneshbhai remarked, pointing to the image from the Hindu Business Line. My friend Swami looked at the image and had a faint, i-don’t-care-a-damn smile. After a brief pause, Swami continued in his indifferent, almost hostile tone. That got Swami on his feet in anger. Swami was now getting ready for battle. “At least Sachin’s records put smiles on everyone’s faces. For the market, the only people who have smiles are the TV anchors, and that too artificial ones” remarked a caustic Swami. “No one else is excited” he underlined with a tone of finality. There was a silence across the table after that. I realised that both my friends had hit each other where it hurt them most, respectively. Both Swami and I were a bit surprised by that remark. “What might be a good thing?” We asked our broker friend, and looked at him, waiting for an explanation. 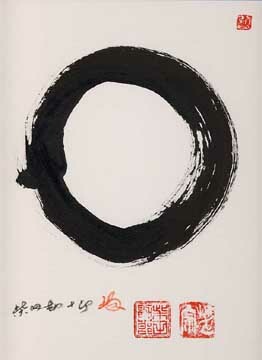 There was something Zen-like about what my broker friend said. A lack of excitement is actually good. It allows for focus. The rare gift that Sachin had – of emptying his mind and getting everything out of the equation – the expectations, the excitement, the occasion, the reputation, even the bowler – and focusing, to the exclusion of everything else, on the next ball and playing it, one at a time – that was Zen-like. Maybe there was a lesson in that. As we were musing about it, the wealthy man in the sprawling bungalow, who had been listening to our conversation, dropped in. “No excitement. Pure Zen. That’s the art of reaching record highs” he said, as we stepped out.